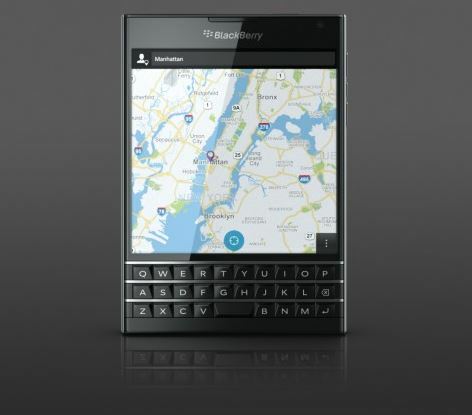 Blackberry are trying to get back the corporate market and the business sector with its latest offering named Blackberry Passport which has it sown unique identity along with the Blackberry trademark QWERTY keypad. Blackberry Passport which was launched sometime ago in the international market has been launched in India too and is available for Pre order from Amazon.in. Passport will be available and shipped from October 10th to buyers, if you are planning to buy a Blackberry Passport then this is the time to do it through Amazon.in as there are gift vouchers for anyone pre booking the device before October 10th, they get a Rs. 5000 gift voucher on Amazon and also 5,000 frequent flyer miles on Jet Airways. Blackberry is trying hard to make its share or atleast regain what it lost out and Passport seems to be a great device to do that as it has a unique design to it with high end specifications and a 4.5 inch square display which has a resolution of 1440 x 1440 pixels with an amazing pixel density of 453 ppi which will make it crystal clear. The display is protected by Gorilla Glass 3 from scratches and damage and the touch screen has a 10 point multi-touch feature. the device is powered by a 2.26 GHz Snapdragon 800 Quad core processor and has 3 GB of RAM which is similar to the top end smartphones in the market. The device has 32 GB of internal memory which can be further expanded to 128GB using micro SD card support. The trademark feature of Blackberry phones which is the QWERTY keyboard is also present in this device which is a three row keyboard which BB has said will be more accurate in typing and also touch enabled. the keyboad is touch sensitive and users can use it to move the cursor, scroll through web pages etc all from the keyboard. Similar to all smartphones it comes with NFC, bluetooth, WiFi and other such features. Blackberry has surely come out with a great device and this is going to be a option to look for the Corporates and Business men.